The 1st track "Yes, I Know" samples Buddy Miles - The Segment. Even though Dan Snaith, as Caribou, was already moving in a house direction with SWIM, his new moniker of Daphni goes all the way. JIAOLONG settles into a rhythm right away (as well as a hefty dose of acid disco) with "Yes, I Know" before their mix of Cos-Ber-Zam's "Ne Noya" jumps into a deep Afro fusion (which is later echoed in "Pairs"). Meanwhile, the flute and gurgling synths of "Light" offset the martial snare drum and growing acid, and a touch of Middle Eastern melody creeps onto the throbbing "Jiao," whereas "Springs" seems to be a series of sound effects set on repeat, but the blissful, hissing ends the album on a nice, sci-fi soundtrack. A fascinating extension of Snaith's musical persona. Pairs is such a BADASS tune i wish it was a 12". And twice as long. And twice as LOUD! UGH!!! My 2xLP copy has the C/D labels on both records, so the track listing shows Pairs, Ahora/Jiao, Springs, Long as the tracks on both records. Has anyone else seen this? Does anyone know whether this LP comes with a download code for the album? Like the US version does? Any information is much appreciated. Thanks! 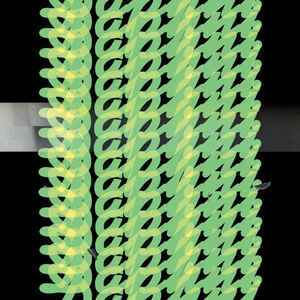 There isn't much of a difference between this album and Four Tet's Pink, also released in 2012. So I'm left puzzled as to why Jiaolong earns so much praise while Four Tet's equally accomplished effort is simply forgotten. Some of these tracks are great - others border on filler. "Springs" sounds like an experiment gone wrong. "Light" and "Pairs" leave something to be desired. I think Dan Snaith might still be learning how to do dance music, and this is an early, raw example of his output. His approach at present seems to be find a catchy vocal sample and loop it - only on "Long", "Jiao" and "Ahora" does he demonstrate some compositional brilliance. In my view, it's overrated - not a top 5 album in 2012, as some have claimed. Still worth a listen, anyhow.